Discussion in 'Season 1' started by Phillip, Apr 13, 2018. When Rizzo the Rat arrives and makes a mess in the playroom, the only way the Muppet Babies can get him to stop is to defeat him in a dance-off; and Summer is tired of being the smallest Muppet Baby and enlists Dr. Bunsen Honeydew and Beaker to help with their Enlarge-O-Ray invention. If you've seen "How Kermit Got His Groove / One Small Problem", please like this post and share your thoughts below. This has to be the First time we ever seen Post Steve Whitmire. Also nice appearance from and as they look a bit more simplified from their original animated counterparts in the original show. Well, I guess they're not going to have anymore afternoon repeats, I guess that was just for the newness of the show, so. . . . Whatever. Interesting how did Rizzo sound? His voice is very close to Steve's so I wonder how they did him. The first episode was cool. I liked how they handled Rizzo being a rat who loves to dance. The second one was good. Seeing Bunsen and Beaker was a highlight. Summer actually is very cute. It was nice to see a story revolve around her. I haven't seen anything yet, but my jaw instantly hit the floor when I read OP. Honestly - both episodes featuring Muppet cameos? I can't ask for more. It's kind of weird they portrayed Rizzo to be an A-hole though. This is what this show needs: more Muppet chaos! 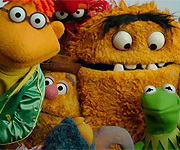 There are a million Muppets and they aren't being used why? I like Summer - she's cute, but it's like why are you even here? And things just get bland with the five basic characters. That's what made The Muppet Show so special -- all these characters causing chaos and stuff backstage; this show should've retained the core 8 from the original run, with lots of cameos and regulars. Jim and Frank said it a million times -- the strength is in the group. I still like the show though; it's like "You think the Muppets are for kids? 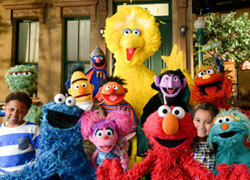 Well here, have a tasteful Muppets kid's show". It really was cool to see Bunsen & Beaker appear, as well as Rizzo in his first-ever baby form living in the nursery a la Jerry Mouse. Nice to see Summer get a focus this time, too. Also, I can't help but get a little creeped out by those dust bunnies Summer encountered. Anyone else feel the same way? How do they know the age of their viewers?